For generations, bicycles have held a sense of freedom and a temporary escape to adventure. 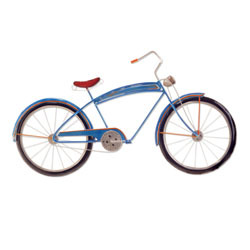 This postwar styled vintage bicycle invites memories of cool breezes, carefree summer days, and the joy of childhood. Keeping the vintage appeal in mind, the artist provides a destressed feel so at to show the love and mileage of the bicycle through many escapades. Due to this focus, each piece is definitively unique and will add vibrant color and design to a space. 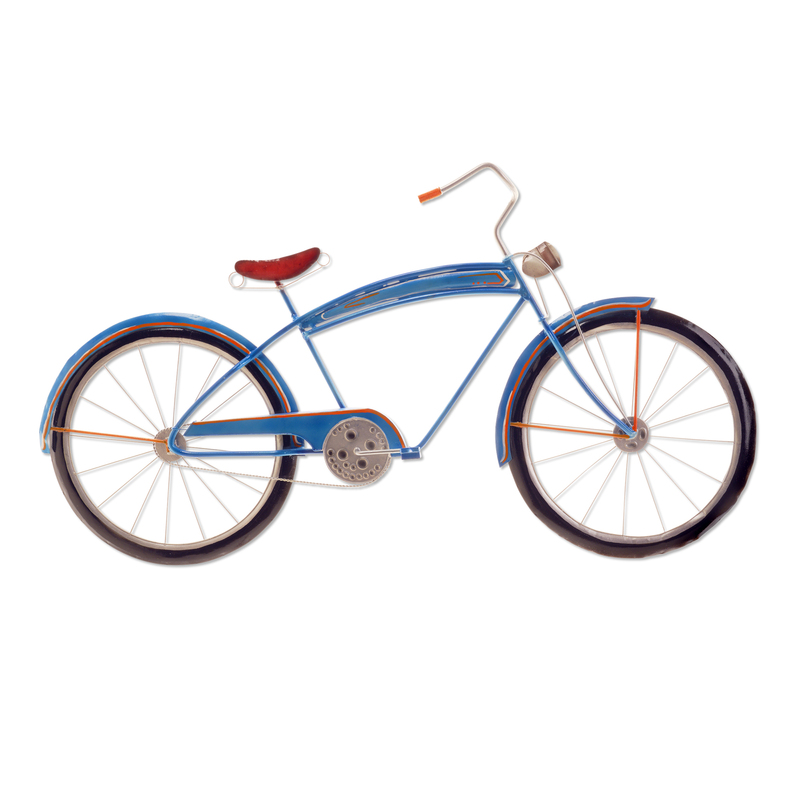 The basic frame of the bicycle is created using tin, which is powder coated with a black finish. The frame is reinforced using tin wire along the inner edge. Using metallic colored paint, the artist hand-paints the base color and the decorations to the front of the bicycle.